Kudos Audio, founded in 1991, are based in County Durham, UK, and have developed a worldwide reputation for creating exceptional loudspeakers. Over the past few years, Kudos Audio, based in County Durham, have become synonymous with creating some of the finest loudspeakers anywhere in the world. 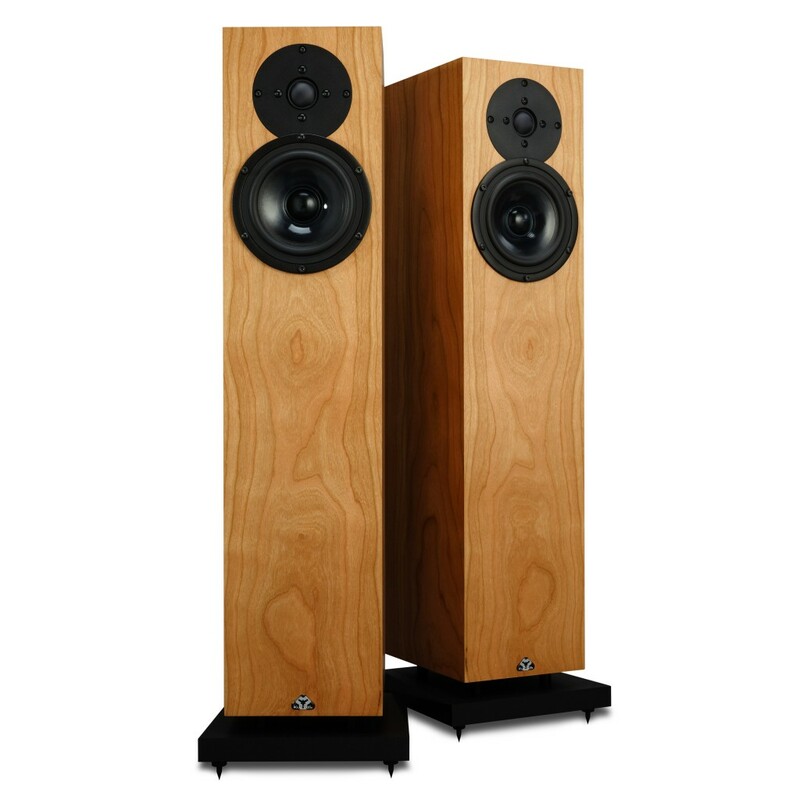 Kudos produce a range of loudspeakers ranging from the compact X2 to the flagship Titan 808. They have a philosophy of using only the very best components in their speakers, with special care and attention given to the choice of the main drive unit and tweeter. Kudos have developed a long-standing relationship with SEAS loudspeaker driver manufacturers in Norway and this has allowed them to incorporate some of the world’s finest components, such as the world-renowned Crescendo tweeter into their products. The Kudos Super 20A is the latest version of the original Super 20, which was a complete redesign of the earlier Kudos C20, following in the same vein as the Super 10. The Super 20A combines the SEAS Crescendo K2 tweeter from the Titan T88 with a newly developed bass/midrange driver, unique to this application and incorporating a copper shorting ring to minimise eddy currents, as well as an aluminium phase plug to act as a heatsink. The two drive units are unique to Kudos and have been developed to integrate seamlessly together to produce an extremely high-quality loudspeaker for the size and price. The crossover incorporates new inductors and resistors from Mundorf, as well as the Mundorf Supreme (Gold/Silver/Oil) capacitor. These parts are produced to very tight tolerance and have been hand-matched for this model so as to further improve sound quality. The cabinet is manufactured from 18mm HDF, which is a high-density version of MDF, chosen for its excellent acoustic properties and then finished in the usual large range of real wood veneers, or a high quality satin white finish can also be specified. The reflex port is situated on the bottom of the cabinet as with other Kudos floorstanding loudspeakers, but this one incorporates a damped port design similar to that found in the Titan T808. This allows for more flexibility of placement within the listening room. The plinth supporting the cabinet provides a fixed boundary gap for the port using a spacer arrangement, thus allowing for optimum performance, and is of a tri-laminate design using HDF, a damping compound and a steel base, as seen on the Titan. High quality stainless steel spikes from Track Audio are also included for optimum grounding of the loudspeaker to the floor. The development to the Super 20A version has meant that the speaker can now also be used in conjunction with Linn’s Space Optimisation+ technology in order to enhance its performance even further and allowing it to reach its potential by eliminating many room acoustic problems. The Kudos C20 has long been a favourite speaker here at Cymbiosis Why? Because they are simply the best sounding loudspeakers we have heard at their price point. The C20 shares its cabinet and main driver with the C2, but most importantly the tweeter incorporated into the C20 is the same 29mm SEAS Crescendo tweeter as the C10, giving it amazing clarity, musicality and detail. This combined with the greater cabinet volume, a redesigned internal crossover and the fact that the C20 is an elegant floorstanding loudspeaker capable of conveying great musical scale, makes it an obvious choice for us to recommend to the discerning listener. 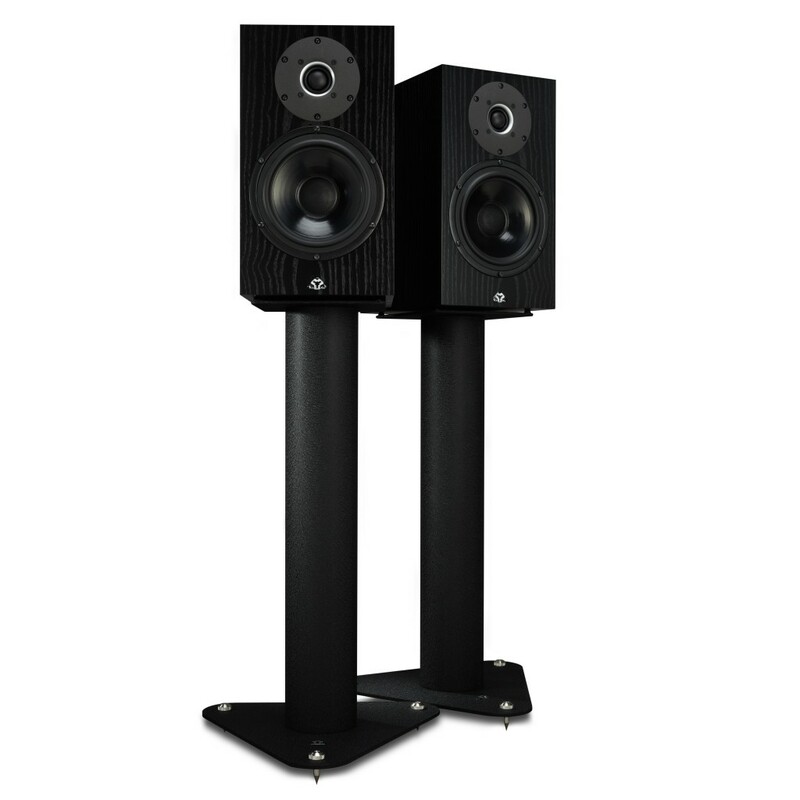 The C20 comes highly recommended and is very capable of embarrassing other loudspeakers costing more than twice as much! Excellent integration between the two drive units allows the use of a low-order, high-quality crossover for minimal electrical interaction with the signal. All internal wiring features The Chord Company’s Sarsen loudspeaker cable, selected through extensive testing of a range of alternatives. The X3’s cabinet is constructed from 18mm HDF specifically chosen for its acoustic properties, and is carefully tuned to minimise cabinet colouration and time smear. The reflex port is situated on the bottom of the cabinet so that the plinth then provides a fixed boundary gap for the port to work optimally, as well as providing additional stability. The Kudos X3 is the perfect marriage of compact loudspeaker and stunning sound quality. The perfect addition to your home. 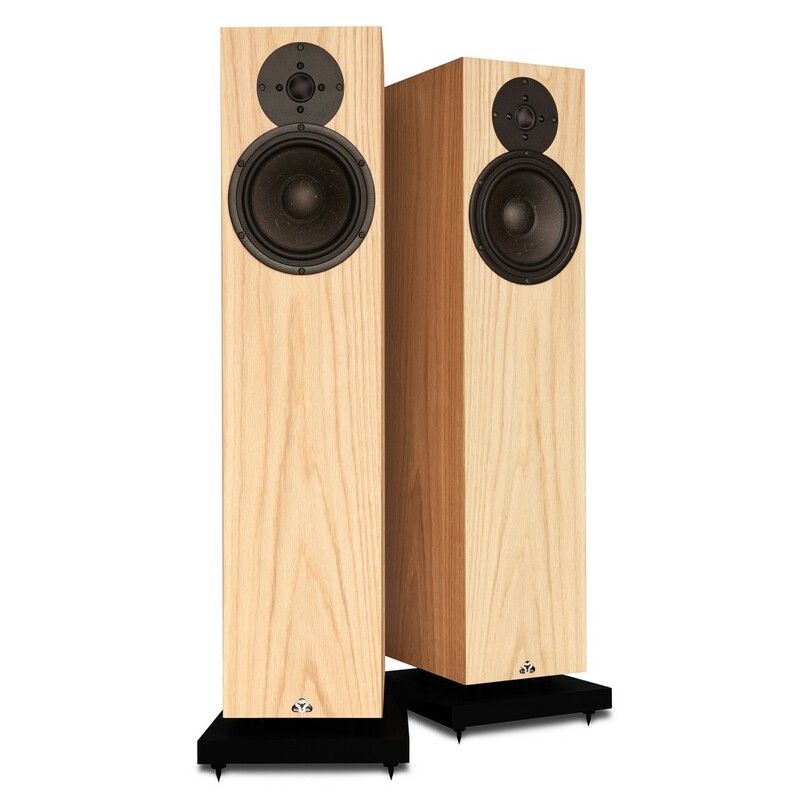 The X2 is the entry level floor standing speaker in the Kudos range, with the core ideal of being both compact but having all the sonic hallmarks which give Kudos their enviable reputation. The X2 cabinet is constructed using 18mm high density HDF which has been specially chosen for its acoustic properties and is carefully tuned to minimise cabinet colouration and time smear. In our opinion, the X2 stands alone in performance terms, being unrivalled both in its price and in giving listeners a detailed and musically engaging experience. One of the most important features of the X2 is that just as with the larger models, the drive units are custom made for Kudos by SEAS. This give the little X2 wonderful detail and musicality that is so evident in the larger models. It is also available in a wide standard range of real wood veneers and special finishes to order. 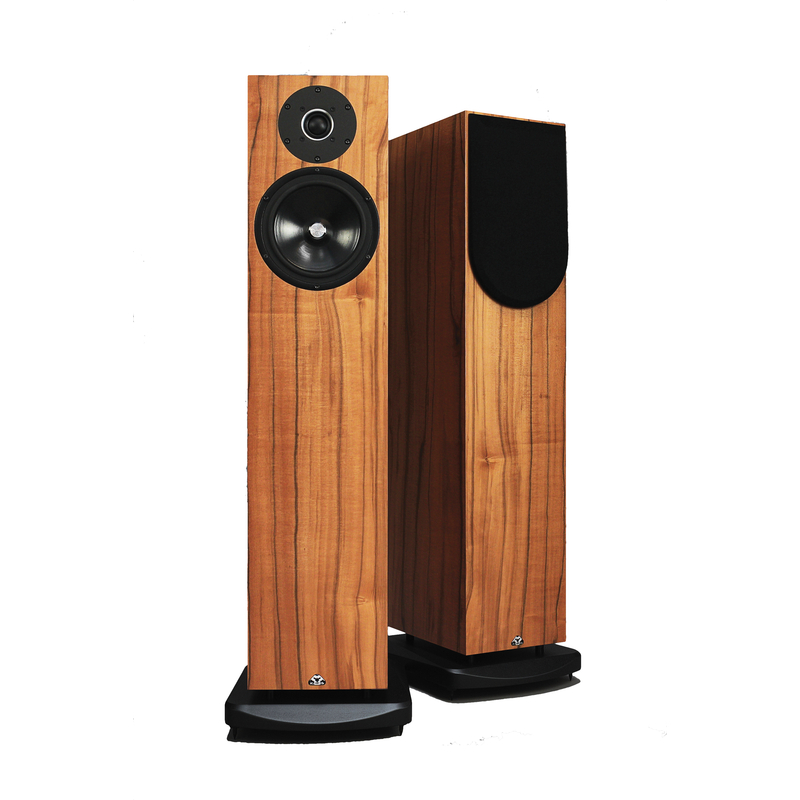 Derek Gilligan has been designing the finest loudspeakers for the past 21 years and, to mark this anniversary, he decided to develop the Super 10 as a celebration of this landmark. 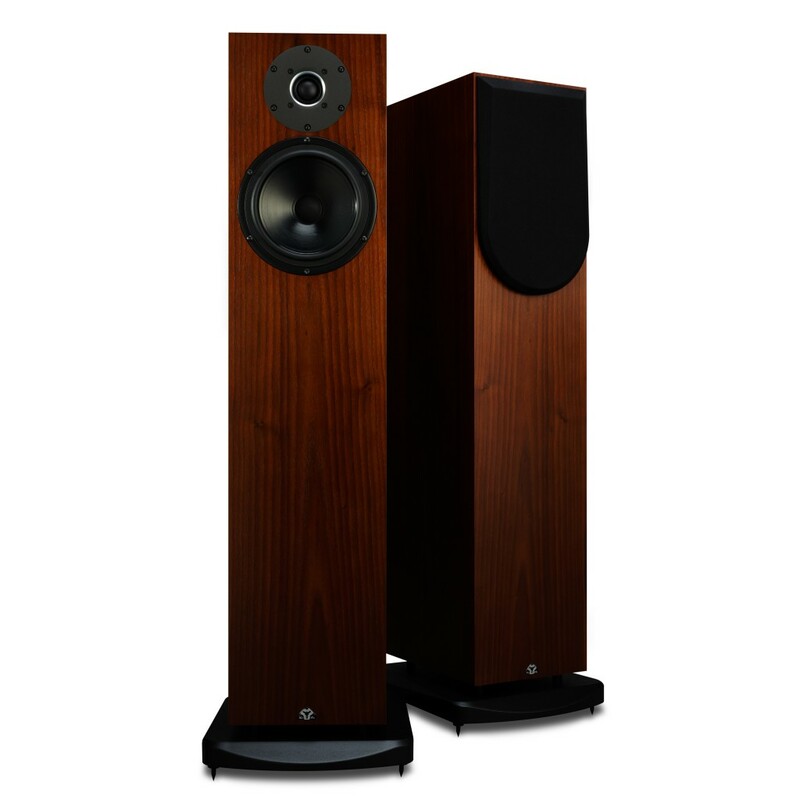 The Super 10 uses the same cabinet as the C10, but has been developed to build on its strengths and push them even further forward, with the aim of creating the finest compact loudspeaker possible. The Super 10 incorporates an upgraded version of the legendary 29mm SEAS Crescendo tweeter, the K2, giving the Super 10 amazing clarity, detail and immense musical enjoyment for its size. The Super 10 really excels with creating a vast and engaging sound stage, giving the listener the kind of performance the artist intended, but from a compact speaker. This really is the finest compact loudspeaker we have heard here at Cymbiosis! The C10 is a 12L, reflex ported, compact cabinet design. This once again allows for easy positioning and friendly room interaction, a key aspect of speaker set-up in any room. The C10 also uses the legendary 29mm SEAS Crescendo tweeter which is widely renowned to be one of the best tweeters available in the world. It is very unusual to see a tweeter of this quality featuring within a design at this price level. This, in partnership with internal cabling from The Chord Company, means that the C10 really does have the superior sound quality and credentials to be one of the world’s finest modestly-priced compact loudspeakers.